It’s interesting looking back at what people have written over the course of the year and seeing which themes appear regularly in their blogs. I thought I’d do the same with my own posts for The Open Group and see whether I could pull some of it together. I saw that the recurring themes for me have been dealing with uncertainty, the changing nature of the enterprise and the influence of information technology from outside the enterprise – and all of this in relation to the practice of enterprise architecture. I also explored the mutual influences these themes have on each other. Unsurprisingly I’m not alone in picking up on these themes. 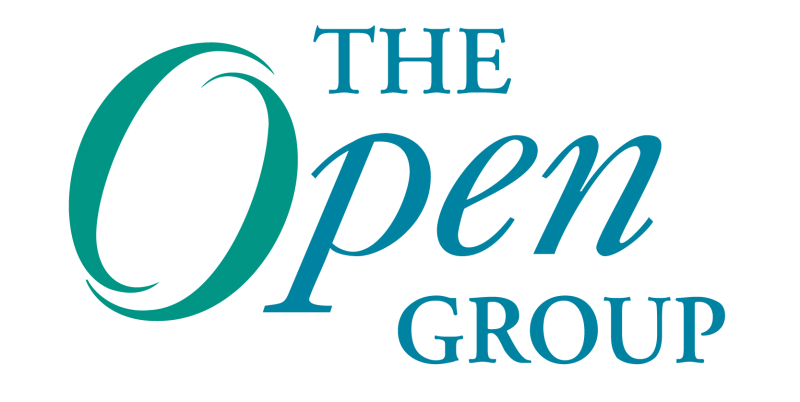 At the risk of offending anyone I don’t mention, I note that Serge Thorn, Raghuraman Krishnamurthy and Len Fehskens have given their own perspectives on The Open Group’s Blog on some or all of these themes. And of course there’s plenty of writing on these themes going on in the blogosphere at large. In one sense I think writing about this is part of a process of trying to understand what’s going on in the world. After some reflection, it seems to me that all of this converges in what tends to be called ”social business.” For better or worse, there is no fixed definition of the term. I would say it describes a way of working where, both within and across organizations, hierarchies and rules are being replaced by networks and collaboration. The concept of the enterprise in such a system is then definitively extended to include a whole ecosystem of customers and suppliers as well as investors and beneficiaries. Any one organization is just a part of the enterprise – a stakeholder. And of course the enterprise will look different dependent on the viewpoint of a particular stakeholder. That should be a familiar concept anyway for an enterprise architect. That one participant can be a stakeholder in multiple enterprises is not really new – it’s just something we now have no choice but to take into account. Within any one organization, social business means that creativity and strategy development takes place at and across multiple levels. We can speak of networked, podular or fractal forms of organization. It also means a lot of other things with wider economic, social and political implications but that’s not my focus here. Another important aspect is the relationship with newer developments in information and communication technology. We can’t separate social business from the technology which has helped it to develop and which in turn is stimulated by its existence and demands. I don’t mean any one technology and I won’t even insist on restricting it to information technology. But it’s clear that there is at least a high degree of synergy between newer IT developments and social business. In other words, the more an organization becomes a social business, the more its business will involve the use of information technology – not as a support function but as an essential part of how it does its business. Moreover exactly this usage of IT is not and cannot be (entirely) under its own control. A social business therefore demonstrates, in all aspects of the enterprise, fuzzy boundaries and a higher level of what I call entropy (uncertainty, rate of change, sensitivity to change). It means we need new ways of dealing with complexity, which fortunately is a topic a lot of people are looking at. It means that simplicity is not in every case a desirable goal and that, scary as it may seem, we may actually need to encourage entropy (in some places) in order to develop the agility to respond to change – effectively and without making any unnecessary long term assumptions. So, if indeed the world is evolving to such a state, what can enterprise architects do to help their own organizations become successful social businesses (social governments – whatever)? Enterprise Architecture is a practice that is founded in communication. To support and add value to that communication we have developed analysis methods and frameworks, which help us model what we learn and, in turn, communicate the results. Enterprise Architects work across organizations to understand how the activities of the participants relate to the strategy of the organization and how the performance of each person/group’s activities can optimally support and reinforce everyone else’s. We don’t do their work for them and don’t, if we do our work properly, have any sectional interests. We are the ultimate generalists, specialized in bringing together all those aspects, in which other people are the experts. We’re therefore ideally placed to facilitate the development of a unified vision and a complementary set of practices. OK, that sounds a bit idealistic. We know reality is never perfect but, if we don’t have ideals, we’d be hypocrites to be doing this work anyway. Pragmatism and ideals can be a positive combination. Yes, there’s plenty of work to do to adapt our models to this new reality. Our goals, the things we try to achieve with EA will not be different. In some significant aspects, the results will be – if only because of the scope and diversity of the enterprise. We’ll certainly need to produce some good example EA artifacts to show what these results will look like. I can see an obvious impact in business architecture and in governance – most likely other areas too. But the issues faced in governance may be similar to those being tackled by The Open Group’s Cloud Governance project. And business architecture is long due for expansion outside of the single organization, so there’s synergy there as well. We can also look outside of our own community for inspiration – in the area of complexity theory, in business modeling, in material about innovation and strategy development and in economic and even political thinking about social business. We’ll also be faced with organizational challenges. EA has for too long and too often been seen as the property of the IT department. That’s always been a problem anyway, but to face the challenges of social business, EA must avoid the slightest whiff of sectional interest and IT centrism. And, ironically, the best hope for the IT department in this scary new world may come from letting go of what it does not need to control and taking on a new role as a positive enabler of change. There could hardly be a more appropriate time to be working on TOGAF Next. What an opportunity! I think that the EA models&frameworks are too complex, too much focused on ‘things’ and states and not suitable to recognize all kinds of dynamic and behavioral patterns in complex systems. That would be a real paradigm shift: EA using simple models, real-time info & simulations to build a “memory of the future*”! Hi Stuart, excellent article. You write “hierarchies and rules are being replaced by networks and collaboration”. I personally believe this is only partly true allthough one can see signs of it happening everywhere in the world. EA practitioners probably need to factor this “trend” more and more into their work. EA will need to become more competent in supporting both hierarchies and rules contexts (often we find here the “Systems of Record”) as well as the networks and collaboration context (here we find the “Systems of Engagement”) and loosely integrate and balance these two without benefitting the one over the other. Approaching EA from only IT viewpoint, means we are suboptimizing. For example an EA practice that is focussed on increasing IT synergy might imply less (overall) Business synergy, an EA practice that focuses solely on cheaper IT might imply more expensive (overall) Business. So the more traditional one-size-fits-all EA strategies we are used to will increasingly demonstrate a lesser fit to the diverse demands many modern Business are facing. In my opinion, EA as a profession needs therefore to adapt into what I like to call Human-Centric, Social Architecture that is deliberately designed for humans so that they can interact, learn, connect and add values in all kinds of ways. And in my opinion, a solid EA should be driven by company (strategic) goals, not by IT goals. Your statement “It means that simplicity is not in every case a desirable goal and that, scary as it may seem, we may actually need to encourage entropy (in some places)” is what I also do very much believe in. In my opinion a balanced EA will simplify things only in areas where there is a real overall benefit and in other areas entropy should indeed be encouraged provied it adds overall value. It’s all a matter of accepting the total (enterprise) complexity as a given, and distributing that complexity so that from a stakeholder viewpoint it “seems” simple. So good EA makes things simple AND attractive (not too simple!!!!) for all stakeholders, by balanced distribution of complexity. Social architecture takes into account that people need to have challenging working environment and need to have learning experiences. After all, humans are not robots! Therefore I believe a one-size-fits-all IT strategy won’t work optimal on enterprise level and a strategy that solely optimizes IT can be damaging overall benefits by shifting certain complexities into areas where it probably shouldn’t be. EA practitioners that are skilled as complexity distributors can therefore add a lot of value to an enterprise. I especially like your statement “EA must avoid the slightest whiff of sectional interest and IT centrism”. In my opinion, on EA level one should have a lot of degrees of freedom and should not make IT centric solution choices or benefit one section over another. If that is done, EA can become a political instrument instead of an enterprise optimization instrument. That’s why EA should allways have enterprise-wide focus, be as independent as possible and never have departmental or disciplinary specific focus. Preferably a lean, simple, balanced, apolitical and objective EA is better. Unfortunately, we’re still a long way from that more idealistic position.